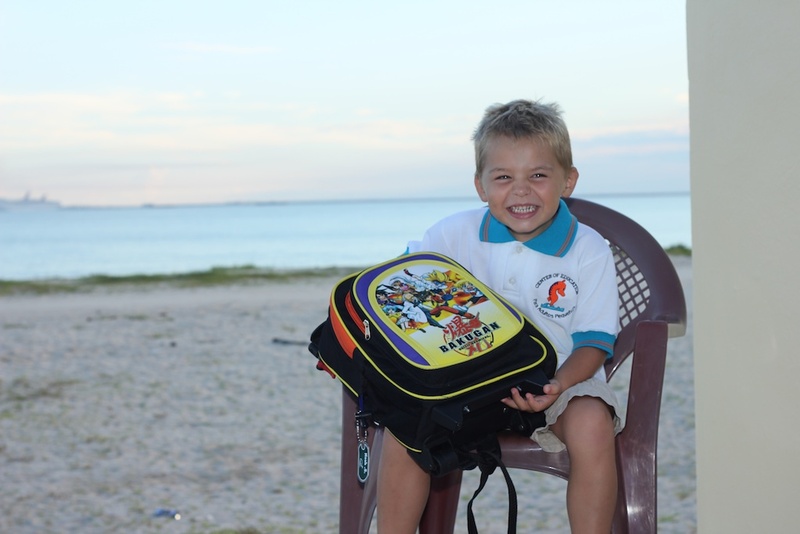 Located one block from the beach in Progreso, Yucatan Mexico, (Calle 56 x21 y23) and just a short drive to Merida, this is a fully accredited Montessori school for kindergarten thru grade 6. 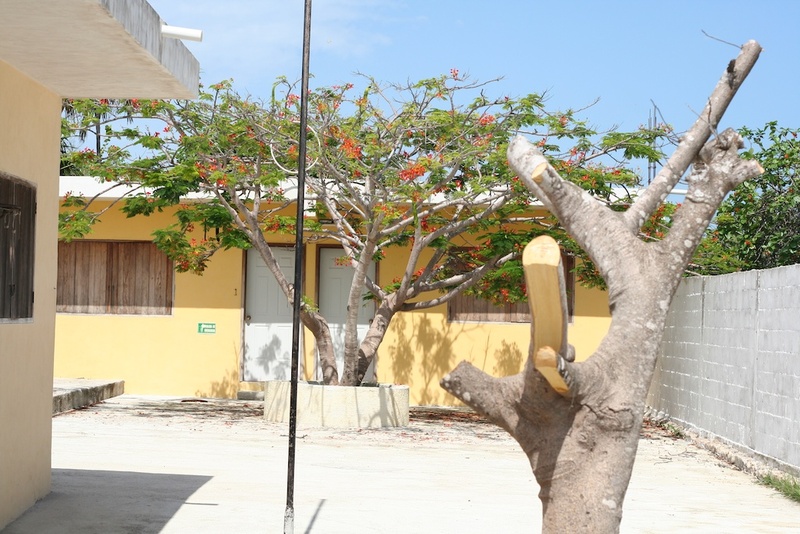 This is a well established and fully equipped school, complete with 7 teacher employees and a Principal administrator. 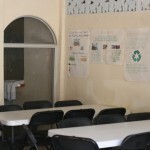 Included are all buildings, equipment, books, furniture, and complete kitchen, which also employs 2 persons! 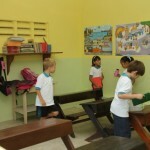 There are 7 classrooms as well as 5 bathrooms, play ground areas and cafeteria areas. 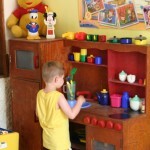 The Montessori method is an approach to educating children based on the research and experiences of Italian physician and educator Maria Montessori (1870–1952). It arose essentially from Dr. Montessori’s discovery of what she referred to as “the child’s true normal nature” in 1907, which happened in the process of her experimental observation of young children given freedom in an environment prepared with materials designed for their self-directed learning activity. The method itself aims to duplicate this experimental observation of children to bring about, sustain and support their true natural way of being. Applying this method involves the teacher in viewing the child as having an inner natural guidance for his or her own perfect self-directed development. The role of the teacher (sometimes called director, directress, or guide) is therefore to watch over the environment to remove any obstacles that would interfere with this natural development. 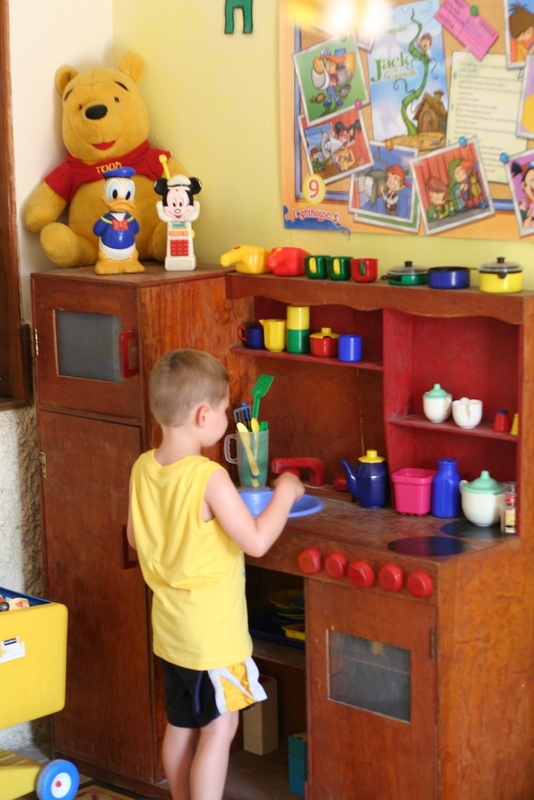 The teacher’s role of observation sometimes includes experimental interactions with children, commonly referred to as “lessons,” to resolve misbehavior or to show how to use the various self-teaching materials that are provided in the environment for the children’s free use. The method is primarily applied with young children (2–6), due to the young child’s unique instincts and sensitivity to conditions in the environment. 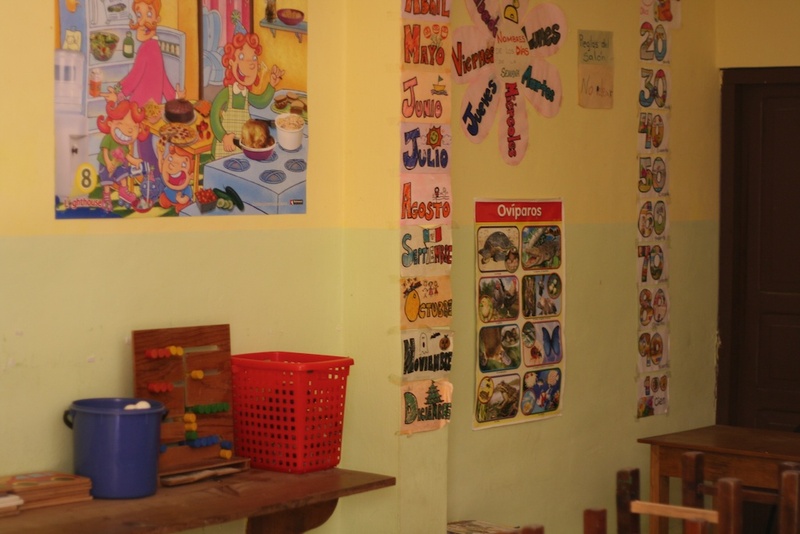 Deborah Daguer is the owner and operator of the Montessori Center of Education here in Progreso. 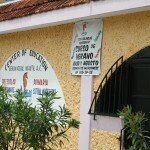 The website for this school is http://progresomontessori.com/ There is a “Contact Us” tab on the site as well. 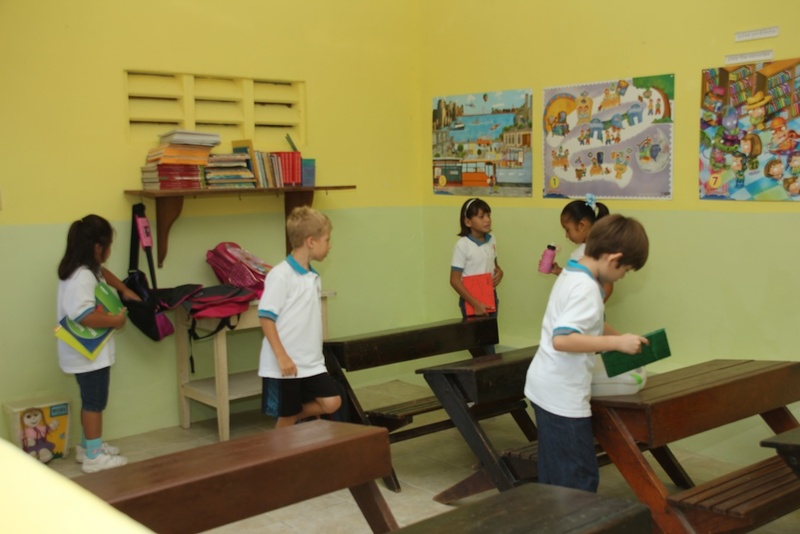 Do you have an English contact name and number for this school – Montessori Progresso? Hello, I have sent you an email directly with the information you have requested. We are moving to Progreso in the fall with our then 8yo, 3yo, and 1 yo. Could you email me more information about the school and cost? Thanks! I have sent you an email with the information you requested. However, the flyer I have is from this years fees and they may change a little bit this fall for the 2011-2012 school year. Our family is re-locating to Progreso during the summer of 2011. We have 3 kids and would also like some more info on your school & costs. We are really intersted & excited! Hope to hear from you soon. I would love to help you out if I can. Please let me know what information you would like to have and I will do my best to answer your questions. Like several of the posts above, we are moving to Progreso soon with our 4 yr old and would rather send him to a nice good school in Progreso than drive to Merida each day. Can you please send information about the school or a contact there? Thanks. Hope all is well. Hi, I have sent you an email with the information you requested. Hello, we are also planning a move to Progresso this summer. Would you so kindly email me the information/flyers that you have for this Montessori School including costs, curriculum, etc. Thank you! Looking forward to finally living in the beautiful Yucatan!!! Hi, I have sent you an email with the information you requested. If you do not receive it, please let me know. Looking for info on this school as well. Do they have a website ? Did some searching but can’t find anything ? Hi there, currently they do not have a website, but I have offered to donate my time to build them one this summer. I only have some information which we got when we where in Progreso in February and is from last years flyers. Plus uniforms of between $60-$150 depending on what grade and how many you purchase. We are moving to Progreso this September with our 1 year old and 3 year old. Could you please e-mail me information on the school and mainly English speaking contact there? We would love to find out about enrollment process and more details on school. Does the school year start September 1st, do you know? sorry for delay on response to your message. The school we have chosen in Progreso was the Montessori school, the contact who speaks English at the school and is also the administrator is Deborah Daguer and her email is dewynic542000@yahoo.com. The phone number I have is (993)5-39-35 but have had trouble with contacting her via phone from Canada. 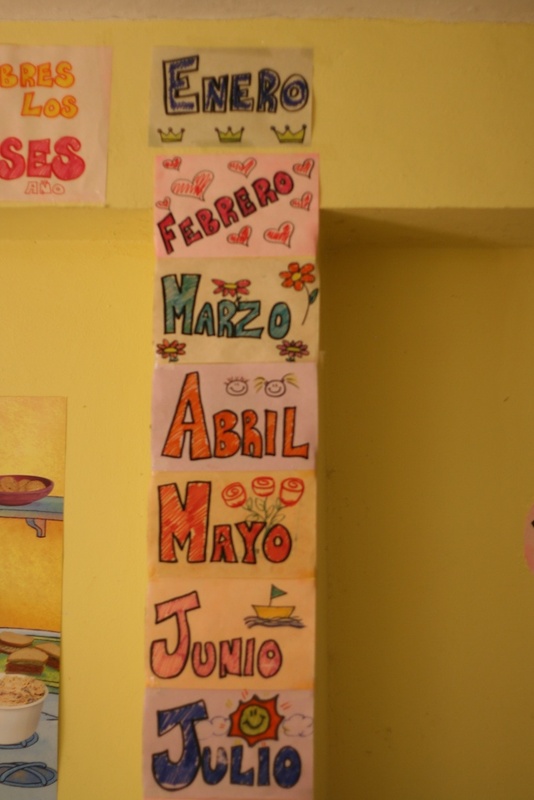 The school year in Mexico is different than Canada, with most schools starting in late August and running to the first or second week of July. I am not sure when the pre-school starts (they refer to pre-school as Kindergarten 1, 2, and 3 and then children can start grade 1). I know in the Montessori program here, our youngest son started when he was two and a half years old and is just now completing kindergarten and it has been a great experience for him. Our oldest son is just completing grade one now and has also enjoyed the Montessori program. 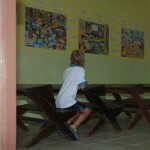 We are excited to have the boys start in the school in Progreso and chose it for its small size and great philosophies. We have actually registered them in summer school, which is offered by Deb, and will hopefully be a great experience for our boys to meet their classmates and to start learning the language before attending school there. Could you send me contact information for this school as well. I have followed your blogs for months. The practical information is very valuable and difficult to find on the internet. My family will be visiting Merida for 2 weeks in November in preperation to move this summer. My daughter who will soon be 6 is in kindergarten here in the U.S. She does not speak Spanish but I like the idea of a bi-lingual school. While visiting Merida we will be looking at neighborhoods and visiting schools. 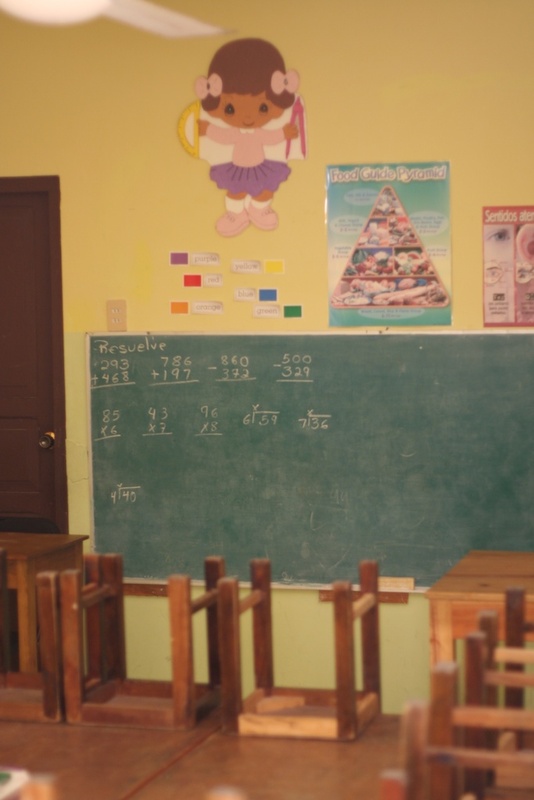 Since this Spring, do you have any additional opinions on the schools in Merida and what where your top 2 choices? What neighborhoods should we start our search. 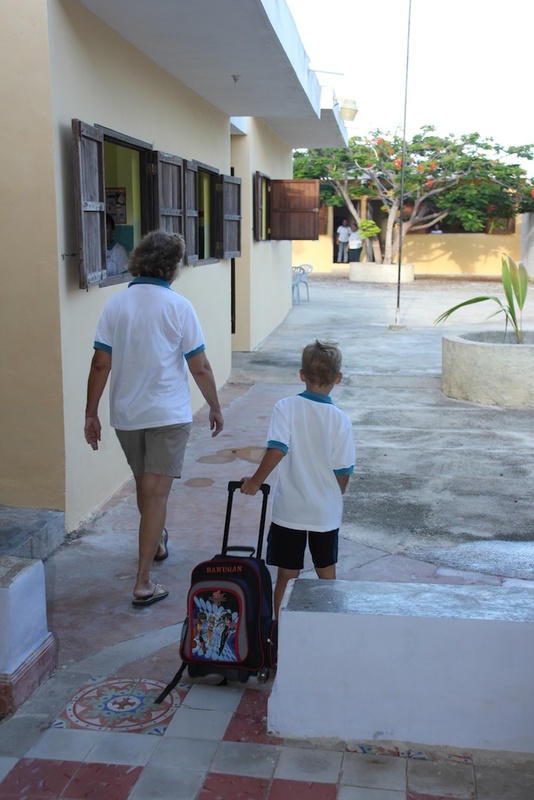 We have been very happy with our choice to have our boys attend the smaller school in Progreso which is a Montessori school. 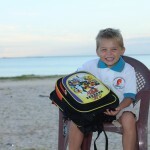 Alianz was our first choice if the boys were going to go to a school in Merida. We have met other families who have their children in Alianz and live in Progreso also, some of the children like it and some did not like their first couple of weeks. I believe every family composition is very different and what may work for one family may not work for another. Due to the fact our boys had never been exposed to Spanish in Calgary, except for some home courses we bought from Learnables, we wanted a smaller environment to make them feel comfortable about our move to Mexico. They are currently in a school which has between 6-10 students per class and goes up to grade 6. We are very happy with the school administrator, Debbie, and their learning curve so far. We wanted them to be able to learn Spanish in a smaller environment, before exposing them to classroom sizes of 25+ in large schools. Adriana with Yucatan Expatriate Services was crucial in helping us set up appointments at each of the schools we visited. When we arrived she had a schedule all set up for us. If we needed an interpreter, someone from her office would come and also drive us around. The expense of using Adriana was well worth it and very reasonable. 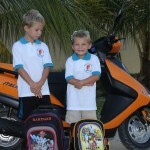 You can find more about YES here: http://www.yucatanexpatriateservices.com/about-us. 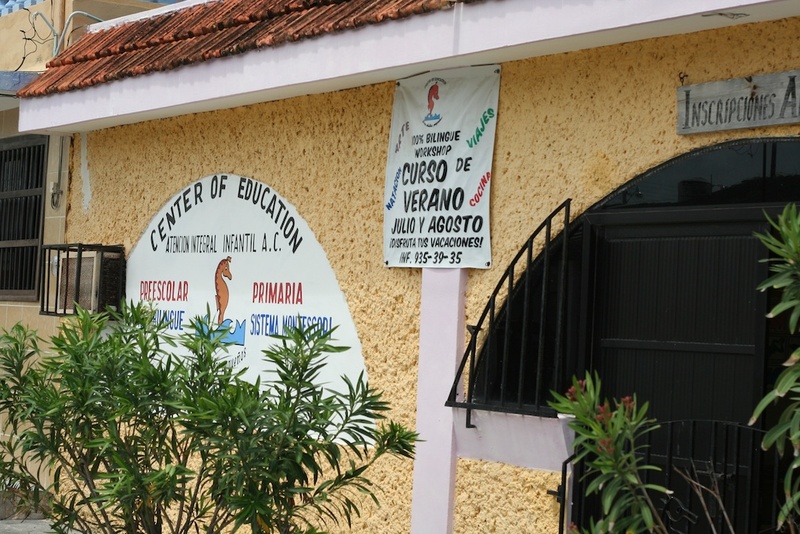 We also saw a couple more schools like Cumbres and the Montessori in Progreso which were not on our initial list. We spent our first week here looking at schools because that was our priority. Our second week was spent looking at rental properties near the schools we had chosen. Of course we found the home the day before we were to leave after looking at more than 30, and the school the day we left! But we are very happy we saw everything and got to experience many different areas. I would recommend two realtors we used (out of the six or so who tried to help us). Hopefully this answered some of your questions. Good luck with the visit in November and the move next summer! Thank you for the nice comments on the site. We found you could never start planning soon enough for a move like this one and we are still learning things every day we wish we had known before we arrived. Hopefully the information I provide under the ‘Moving to Merida’ section will help you. Although we switched from Merida to Progreso, I have not changed the title yet. 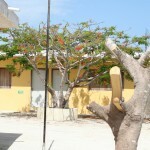 The school is located at calle 56 x21 y23 about one block back from the beach. For a bigger landmark, it is about 3 blocks west of Hotel Yakunah. Debbie is a great lady and we are so glad we found her school when we chose to live in Progreso. Good luck on the property closing! We’re coming down to Progreso end of March, Yeah! Could you please send me the contact info of the lady at the school who speaks English? (We’re starting our Spanish classes in about a week). We’d like to go by if it’s okay with them and see the school. Give the kids an idea of where we hope they can attend when we move down. Also, we’d love to get together for an ice tea or something if you’re interested. Let me know if you have any cravings from home we could bring you when we come. Deborah Daguer is the owner and operator of the Montessori Center of Education here in Progreso. 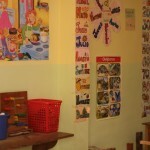 The website for this school is http://progresomontessori.com/ and will be launched soon! There is a “Contact Us” tab on the site as well. I love visiting your website! So informative. I’ll be coming down this coming August to live for a year with my boys, ages 6,9,14 (or at least they will be in August). You mentioned the Montessori school and I’m hoping to get more current info on the school but their website is not working currently. I sent an email to Deborah and look forward to a reply. yes the school prices are in pesos! The prices I have listed are from last year, I believe everything went up 100 pesos this year but am not sure if that applies to all kids. Unfortunately the website is still under construction…just waiting for final approval from Debbie. Hopefully she responds to your email. I know she is taking it easy this holiday season and may not check her emails again until January when school starts up again! 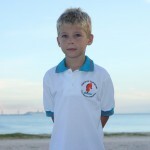 Just found your blog, thanks for sharing we are considering coming to Progreso for a year or so for kitesurfing. We have a 5 year old son, and I would love to get in contact with the Montessori school, However the contact adress on the website is not working. Could you help me to get in contact with Deborah? her email address is: Deborah Daguer (dewynic542000@yahoo.com) and I will make sure the contact link on her under construction page starts working again! We are considering coming to Progreso for 5 months to kiteboard. I home school the kids but want to have them meet other children their . The children are age 8 and 9 years. Do the children learn Spanish? What are the school hours? Can we register once we arrive in Progreso and start immediately? Is there any family groups that meet up with children on a weekly basis? Thank you in advance for taking the time to answer my questions if possible. 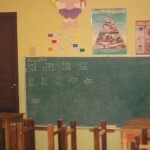 The school and the teachers are all Spanish speaking while the owner, Debbie, speaks both English and Spanish. 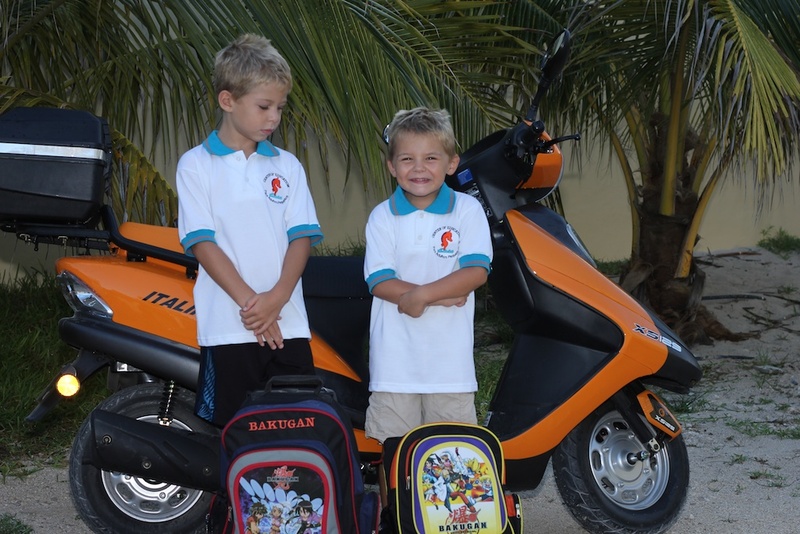 our boys picked up the language fairly quickly and by 6 months into the first year, they were speaking quite well. School operates from 8am – 12:30 pm. I would contact Debbie at the school via email (info@progresomontessori.com) to see about registration. My eldest son, who was in grade two when we arrived, spent time in the kindergarten class when his fellow classmates were having their English class. This really helped him learn more of the basics of the Spanish language. I am unaware of family groups at this time that meet as a scheduled event. However, we certainly get together with our friends at least twice a week and have our kids play with them. We have play dates throughout the week where the kids either have other children to our house or go to a friends house. Hopefully this answers your questions! Hi Sabrina, sorry we have been unable to connect yet! I would love to get together soon and meet your family. There are lots of things to do and we are discovering more every month. Our boys are in soccer, taekwondo, Irish dancing, guitar lessons right now which is keeping us quite busy. I just learned yesterday of a windsurfing school for kids which we are also going to check into! We have so much time in the afternoons to do things with the kids being done at 1pm that I am trying to fill all their time up so they have less time for video games! For connecting with other English families, the school is a great start. 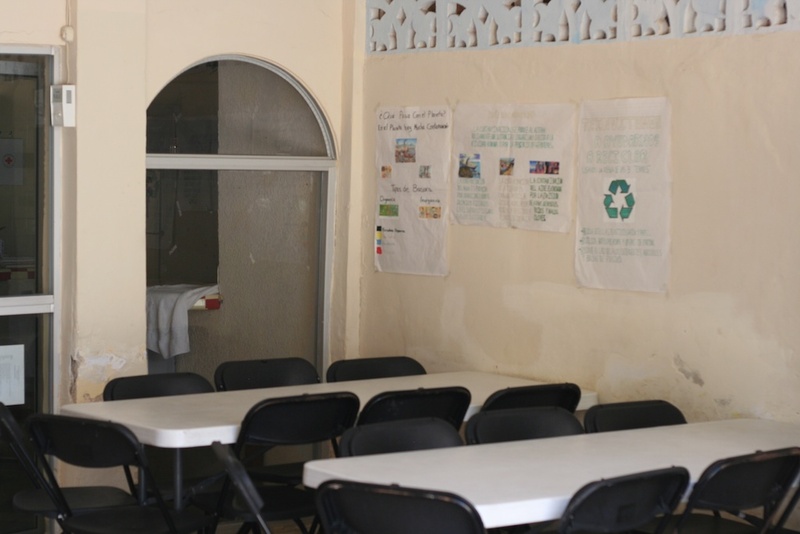 In the community, the Merida English Library has many opportunities. Outside of that, just meeting people at the grocery store happens. We found that it took about 6 months before the boys were fluent in Spanish enough to start having play dates with their classmates which we do at least twice per week. Thanks Kurt! I spoke with some kite surfers when at Uaymitun re taking lessons and had done some research before re a place in Yulcalpeten. LMK re scuba/snorkel outing. Sounds great! that Carnival Victory Ship will be dock. I would love to bring my “Debra’s Christian Bags” to some of your children. This does not cost anything, it is my way to tell others about Jesus Christ. Please let me know if this is appropriate for your school or something you would be interested in allowing me to do. I am not any type of organization. I just do this on my own. Thank you for your time. Hi Debra, I have sent you another email regarding this request to donate! Thank you very much for the thought as donations are very welcome throughout the Yucatan. Hi there, congratulations on your upcoming move. 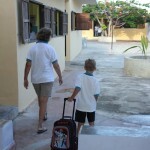 Our school is located in Progreso and Debbie is the administrator. Depending on the grade level of the child and how many children you have attending the school determines the cost per month. I am not sure at this moment what the cost is for a first grade student and I would direct you to talk to Debbie directly. Her email is Deborah Daguer dewynic542000@yahoo.com and she normally responds to email within a day or two depending on her schedule. Once again, good luck on your move! Hi there, you could try contacting Deborah Daguer dewynic542000@yahoo.com, the owner of the Montessori school in Progreso to see if she needs any teachers for next year. Hi, I am wondering if you accept children with special needs as we’ll? Hi, that is a question that would have to be directed to the owner of the school. If you need her contact information, please let me know. we are moving to San Benito in august and are looking for information on school for our 8 year old daughter. she is going into 3rd grade. 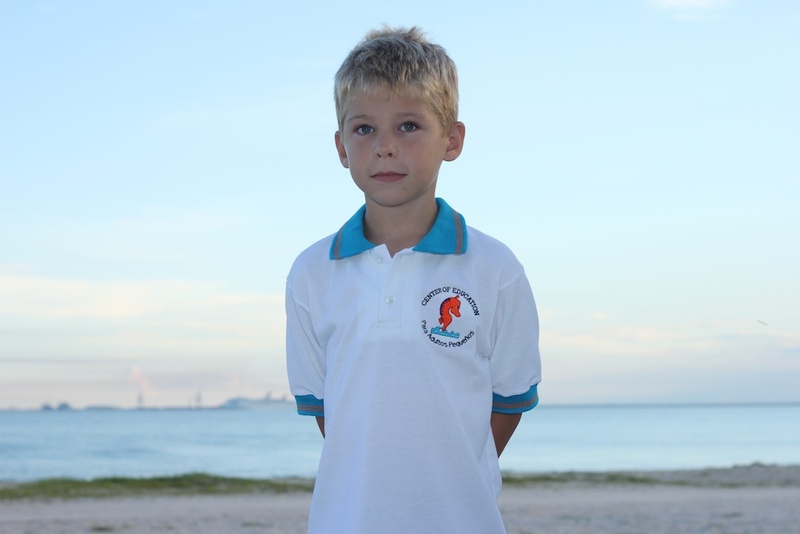 we would prefer school in Progreso rather than Merida, the closer to home the better. Any information you can provide would be appreciated. thank you! Hello! 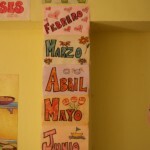 The school we go to still is the Montessori school in Progreso and Debbie is the owner of the school. Deborah Daguer dewynic542000@yahoo.com, and send her an email.